And what’s up with that fish? How this became muddled quickly at the beginning is explained by a TAX imposed on the behavior of those obeying the Commandments. 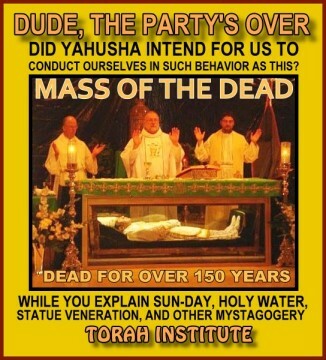 Yahusha never taught anyone to alter the Commandments, encode His Name, eat ham, meet in the morning on the first work day of the week to remember His death, put bells and steeples on meeting places, kneel down and worship bread discs, pray to His mother with a rosary, or many other things. He told us to teach the Name and the Word to the nations. The 4th Commandment is not referring to “Sun-day,” so what happened? People are eating pigs, bowing to images of crosses, fixing Easter egg baskets, putting trees in their homes on December 25th, using steeples to indicate a worship building, and generally doing all kinds of things without any notion of their pagan origins. How did we come to practice everything Yahuah told us not to practice (which pagans were doing), and not practice a single thing He told us to practice? While these things are blatantly obvious, why is it that so few seem to be awake enough to notice? What is His Name, and what is His Word? The Truth of what happened has been kept from everyone for too long, so here it is in the simplest of terms. Learn about the parting of ways; how one faith became two. Pagans commonly concealed the names of their deities using codes which were revealed to initiates by Mystagogues. As early Christianity developed, this practice is what we see behind the fish symbol. A Name was being concealed in codes such as IESV, IC-XC, or IHS. You could spend years of research trying to discover what you are about to read. There is a reason for the massive difference between what is seen done and taught in Scripture, contrasted with what is practiced and taught today. 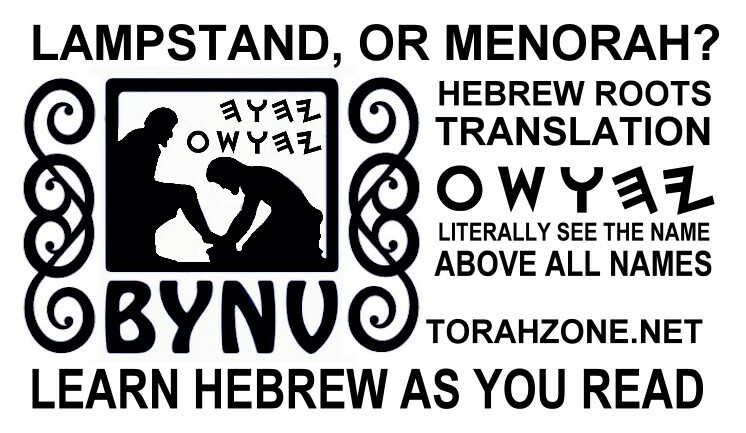 The myth that all the Hebrew-speaking men following Yahusha recorded their words in Greek, is only a symptom of a transformation on a grand scale. The fiscus Iudaicus (Latin for "Jewish tax") or fiscus Judaicus was a tax-collecting directive instituted to collect the tax imposed by emperor Vespasian on Yahudim (Ioudaios/Jews) over all the Roman Empire after the destruction of Yerushalaim and its Temple in 70 CE. Revenues were directed to support the temple of Iupiter Optimus Maximus in Rome. Vespasian and his son Titus looted the gold from Yahuah's Mishkan (including the golden menorah), and built the famous Roman Colosseum and two arches with the wealth they had plundered from Yerushalem. The record of the Romans carrying away the golden menorah is preserved on the carving inside the arch of Titus for all to see (photo linked here). The misery continued for Torah observant believers all over the Roman empire by way of taxation, and funded the pagan idolatry that emerged from it, now going under the name Christianity. 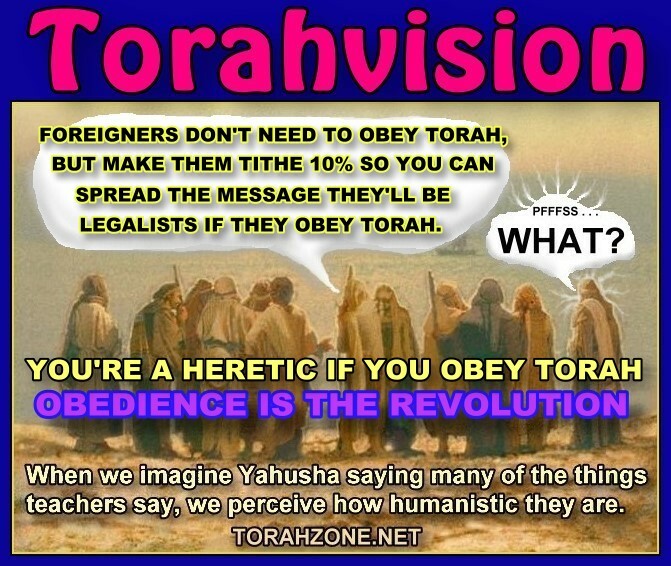 Persons who behaved like Yahudim, or met with them to study Torah-observance, whether or not they were believers in Yahusha, were taxed. This tax usurped the tithe that was originally sent to support the Temple. It was redirected to lavishly support the pagan Roman religious institutions. The only way to be exempt: abandon Yahudaism. Before the Temple was destroyed in 70 CE, there was no separation whatsoever between those who believed Yahusha is the Mashiak from those who did not. between 60-62 CE, during the horrific reign of Nero. know Aquila and Priscilla were of those expelled. About 3 years before Paul wrote the letter to the Romans, Nero lifted the edict of Claudius, so Yahudim were permitted to live at Rome again. Even in the late 50’s when Paul wrote to the Romans, there was no separation or parting between believers in Yahusha and those who met together without believing. Luke recorded Acts only a few years prior to the destruction of Yerushalayim. After the year 70, the pressure of taxation on anyone that observed Torah became a factor in developing new behavioral patterns and terminology. Because the Roman tax agency was watching closely, gentile converts felt they did not owe the fiscus Iudaiscus, so they slowly withdrew and met separately. To appear distinct, they made as many changes as possible. Even before the destruction of Yerushalayim, Rome was watching those who would not worship their emperors and pay homage to their deities. For this, the Yahudim already had their attention. 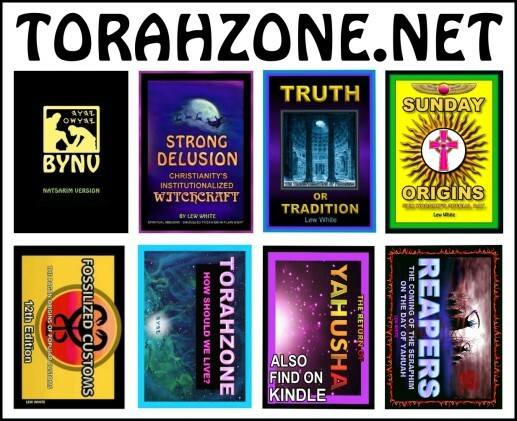 To the Romans, those who believed in Yahusha were a part of the same body of people because they observed Torah in exactly the same way, and met with one another. There are three perspectives; that of the pagan Roman magisterium, the Yahudim who observed Torah and the traditions of the fathers, and the new third group among them, the Natsarim. The Natsarim consisted of both former gentiles as well as those of the natural branches of Yisharal. Because of the fiscus Iudaicus, those of the formerly gentile faction contemplated how they were different, and should be treated as distinct by those imposing the tax. This distinction didn’t matter at all, since they behaved exactly the same even if they did meet separately from the main congregation they had once been a part of. We see this even today, as congregations split apart for one reason or another. With the annoyance of taxation, and being aware the tribute was used to support the pagan Magisterium, a gradual shift began to take place as more converts entered the fold. 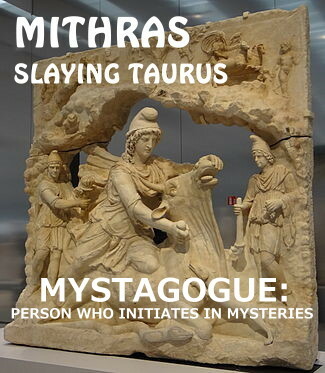 The average pagan Roman citizen was living in a world that worshipped Mithras. Their meetings took place in caverns or rooms built to resemble caverns, with an indoor altar at one end of the space. The initiates progressed through grades or levels, similar to the method seen today in Masonry. More Mithraic mysteries were revealed as the adherent progressed to higher grades. A mystagogue explained the mysteries and theology to the initiate. Very early, unconverted pagans became joined to the body of true believers, just as we see in groups today. As more converts from the pagan world entered into the congregations of those motivated to avoid paying the fiscus Iudaiscus, the more the behavior and surroundings took on their manner. Aspects such as steeples, icons, genuflecting, holy water, indoor altars, haloes, or statues were never part of the culture of Yisharal. To a Roman taxing official, the appearance of the “new Christian” assembly would have been mostly like the Mithras worshippers. The worshippers of Serapis at Alexandria were called “Christians”, so adopting this label helped shield the now-corrupted followers of Yahusha from appearing to be “Jewish”. Adopting all the accessories and gimmickry of the pagans, the new group could attract far greater numbers from the general population. The ignorant masses of pagans used the symbol of the crux widely as a symbol for the sun, and so by the time of Constantine it became adopted to link “Christ” with “Apollo”, Constantine’s most favored deity. As the dirty snowball grew larger, the Latin language translation by Eusebius Sophronius Hieronymus (Jerome) brought the term crux into the text, avoiding the word stauro, the Latin equivalent to the Greek stauros. Now, the new faith even had a logo, the former symbol of sun worship: the solar cross. “The Romans at first regarded the Christians as part of the Jewish people. When Christianity spread and took on a clearly different identity, as acknowledged by both Jews and Christians, the Roman government modified its view. 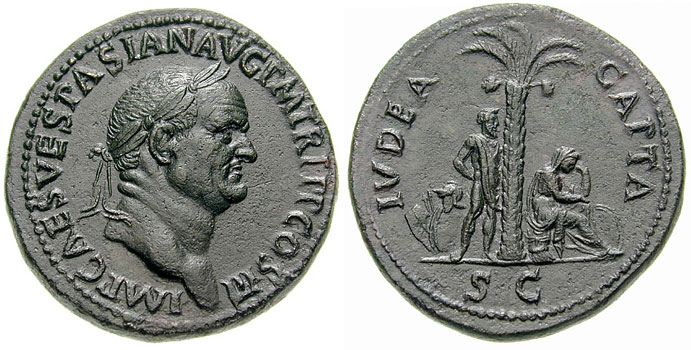 The emperor Nerva (96–98 C.E.) freed the Christians (probably including the Jewish Christians) from paying the fiscus judaicus, the Jewish capitation tax decreed as a punishment in the aftermath of the revolt of 66–73 C.E. Clearly, the Romans now regarded the Christians as a separate group. The way was paved for the legitimization of Christianity as a licit religion. 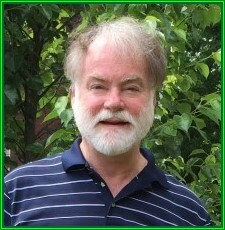 The decline of the old pagan cults, coupled with the tremendous success of Christianity, would eventually lead to the acceptance of the new faith as the official religion of the Roman Empire in 324 C.E.” Lawrence H. Schiffman, From Text to Tradition, Ktav Publishing House, Hoboken, NJ, 1991. Q: WHY WOULD THEY WANT TO HIDE THE NAME? A: IT WAS THE PRACTICE OF PAGANS TO DO SO. Because the taxing authorities were constantly snooping around, it was advantageous to appear and sound completely distinct in every way. Trying to appear different, the Hebrew roots of the faith were masked as much as possible, so changing terms and altering names became acceptable. The Greek texts eliminated the Name, and put in its place a code, in case a snooping tax agent were to examine them. In place of the Name Yahusha, a secretive “Christogram” was used, which could only be understood through a mystagogue. The "IY" (IU) in Greek manuscripts is an encoded "christogram", usually with a bar over the letters (a titlos, meaning "title"), a substitution for the Name of Yahusha. IC XC, IHS, and later Chi-Rho and IXTHUS, were used to conceal the Name. Tampering with Greek scripts, monks/mystagogues omitted the Mashiak’s Name in their copies. 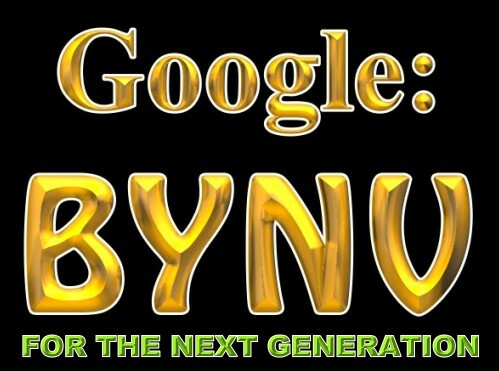 They adopted the altered form for Yahusha, IHSOUS, from the Greek spelling in the Septuagint. The 1st and last letters of IHSOUS XRISTOS, IOTA-SIGMA & CHI-SIGMA (see picture), were placed into the Greek copies with Latin letters, IC XC. They mixed Latin letters with the Greek, leaving their Latin fingerprints behind. The Greek letter SIGMA is represented as the letter “C” in Latin. 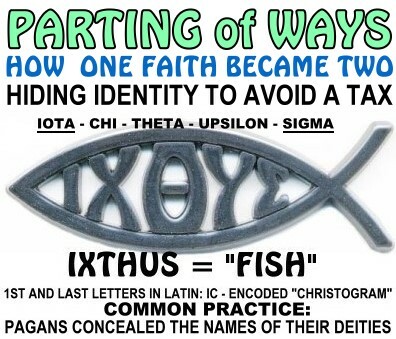 Because the word for “fish” in Greek begins and ends with IOTA & SIGMA, the word IXTHUS was turned into an acronym to further “mystify” initiates with their mystagoguery. 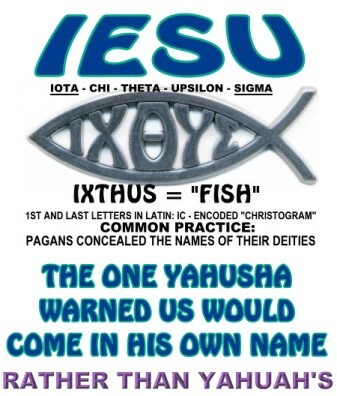 The letters in the fish/ichthus are iota-chi-theta-upsilon-sigma, and were mystically interpreted to stand for “Iesous Xristos Theou Huios Soter” meaning “Iesu Xristos Theos Son Savior (Zeus was “Theos” to all Greeks). The “congregations” described in the Natsarim Writings are often described by the Greek term “synagogues”, and were not buildings. Even the term “synagogue” helped to make them seem more “gentile”, since the word is Greek. 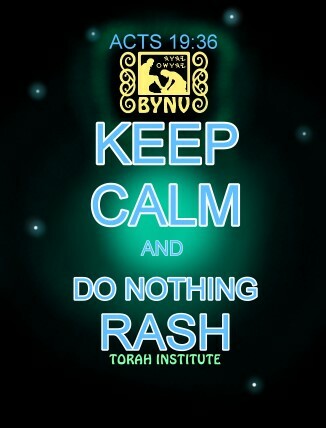 The Hebrew term SHUL was avoided. The group may have met in a room, or other place such as Luke described at Acts 16:13 - by a river. The word “church” originally was a pagan word describing a place of worship. It is seen as kerk, kirk, kirke, circe, circus, cirice. Tyndale used it only twice (Acts 14:13, 19:37) to describe the pagan houses of worship. He was burned at the stake by Henry VIII for his translation, since church referred to the authority (hierarchy) over the laity. Tyndale used the word “congregation”, making all members of the body on the same level. Read Acts 17. Paul goes to the Yahudi assemblies, on a day Luke refers to as “the Shabath”. The noble “Bereans” checked Scripture to see if the things Paul said were true. They were not “Christians”, and never became Sun-day observers that ate pigs. Paul claimed he was a “Pharisee”, meaning he was brought up in the discipline of the Prushim, one of the strictest sects of them all. After his conversion, Paul was given a new perspective, and unity of the belief in Yahusha’s deliverance was his aim; he did not teach against Torah, but established it. Paul saw Kefa behaving oddly around other Yahudim when eating with converts from the gentiles, and exposed such hypocrisy to his face (Gal. 2). Paul knew distortions were coming after his work was done. From Miletos, Paul called the elders of Ephesus to meet together. “Therefore take heed to yourselves and to all the flock, among which the Ruach ha’Qodesh has made you overseers, to shepherd the assembly of Alahim which He has purchased with His own blood. For I know this, that after my departure savage wolves shall come in among you, not sparing the flock. “For having found this man a plague, who stirs up dissension among all the Yahudim throughout the world, and a ringleader of the sect of the Natsarim . . ,” Acts 24:5. Later in this chapter, Paul claims to worship according to all that is written in the Torah and the Prophets. In other words, Paul’s way of life was nothing like modern Christianity. He was of the sect of the “Natsarim”, and obeyed the Commandments. The 7th day of the week was still Shabath to him. Paul would not have been shocked about “Sun-day,” because he knew savage wolves would later come teaching distortions. As savage wolves, they focus on collecting the tithe yet forsake teaching Torah. We are witnesses of these distorted teachings, and as Yahusha’s Natsarim we overthrow them with Truth, in love. The doctrine one lives by may come from one of two sources: Scripture (Yahuah’s inspired instructions), or men’s traditions. 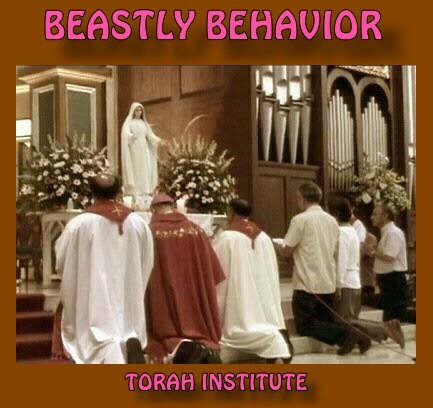 Looking around this world, and listening to what is normally taught, it is highly unlikely most people live by what Scripture shows us as pleasing behavior before Yahuah. Most of our traditions come from pagan sources. Sun-day assemblies, statues, rosaries, holy water, Easter baskets (in place of Passover and First-fruits), Christmas, wreath and tree-decorating, eating swine, sunrise “services”, and praying in circles. Another huge stronghold is how everyone is using a false name in place of the true identity of our Deliverer. There is only one name given among men for deliverance (Acts 4:12). The Name is the Stone which the builders rejected (see Psalm, 118). YashaYahu 52:6 tells us Yahuah’s people will know His Name, Yah Al (Joel) 2 quoted by Kefa tells us those calling on it will be delivered, and Acts 4:12 tells us there is one Name. The Name and the Word are above all else (Ps 138:2), and we Natsarim are the guardians of the Name, and the Word, of Yahuah. What was whispered in the inner rooms is being shouted from the rooftops. If the Torah of Mosheh is what we are told to “remember” before the Day of Yahuah comes, then that’s what we should be telling everyone (Mal. 4:4-6). Billions have never even heard the word “Torah” in their lives, and yet they support men to teach them the way of deliverance. Repent, for the Reign of Yahuah draws near!